The circular routes take in numerous monuments, memorials, cemeteries and museums, which recall the tragedy and horror of the terrible years between 1914 and 1918. 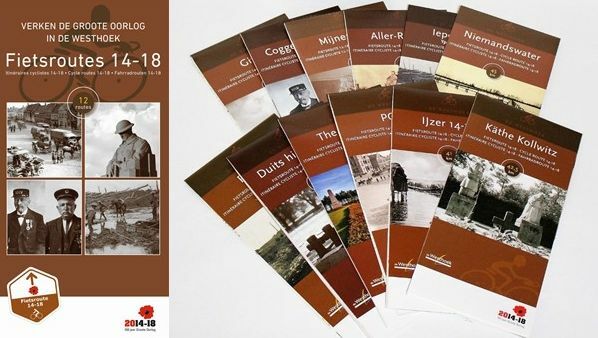 They are the ideal way to discover the historic landscape on which men fought and died a century ago. The routes are signposted in one direction by brown-coloured hexagonal boards, each bearing a red poppy. The individual cycle routes are available from tourist offices in the Westhoek or can be ordered from Westtoer via tel. +32 50 30 55 00 or shop.westtoer.be (€ 2). The 12 different cycle routes are also available in a handy boxed set (€ 20).